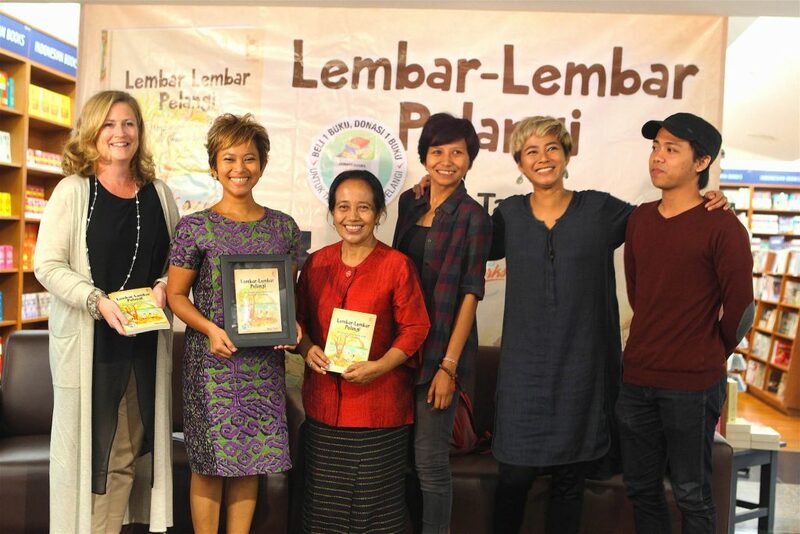 My first book “Lembar-Lembar Pelangi” is officially launched today! Yeayyyy!!! 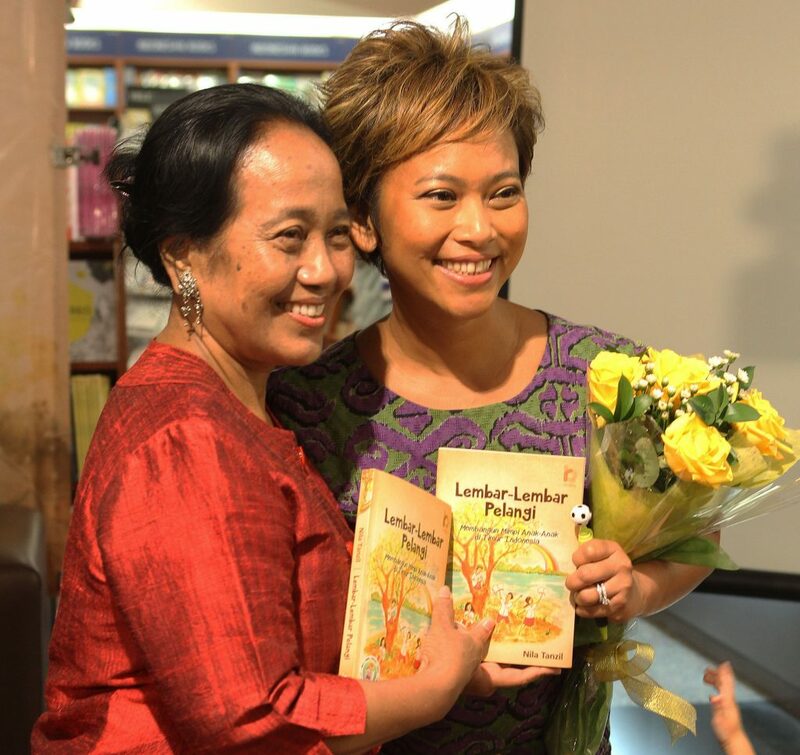 The book launch takes place at Kinokuniya Bookstore, Plaza Senayan, today, (October 6th, 2016). 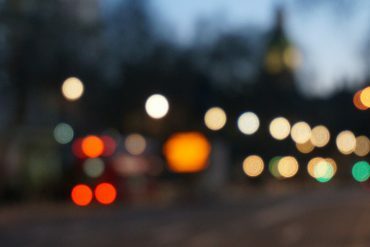 There are two events. The first event is the Press Conference, specially for the media, at 3pm. There are 28 media attended the event :). So happy! 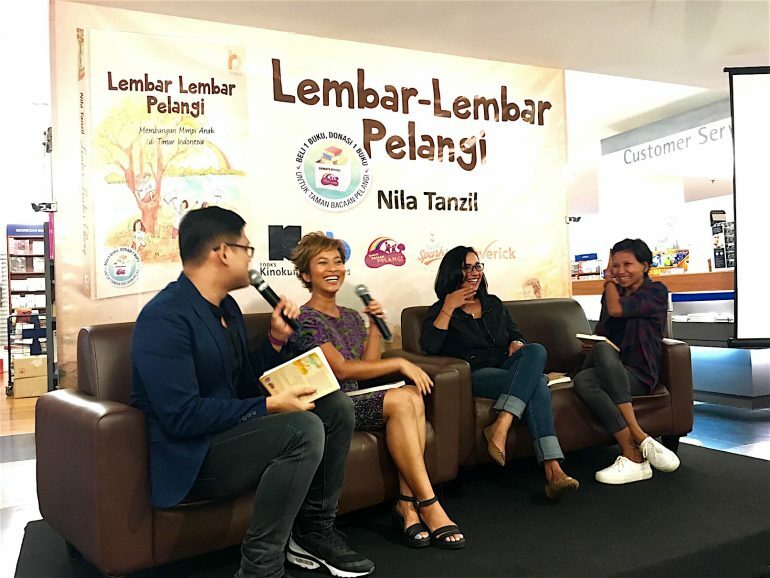 Press Conference of Lembar-Lembar Pelangi Book Launch with Shahnaz Haque and Windy Ariestanty. And the second event is the book launch, specially for my friends and public, which is held at 5pm. To my surprise, more than 100-150 people showed up! Wowwww! Most of them are my friends. I’m BEYOND HAPPY to see them. Most importantly, I feel loved and blessed. Really. To see my friends show up at the book launch means more than anything. It shows that they support me, supporting what I do, and believing in me! I can’t thank you enough for them. Having them there really means a lot to me. It’s truly a celebration. Some people say, “It’s like a cocktail party, without cocktails” :D. Hahaha.. that’s so true. 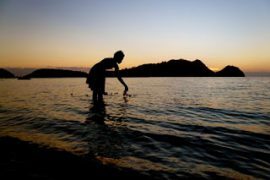 Most of them know each other, so it’s like a big reunion of change agents, change makers, social entrepreneurs, travelers, and distinguished entrepreneurs. Kind-hearted people. Beautiful souls. That’s the way I see them :). I couldn’t stop smiling. Really. And I feel relieved. This book is finally finished after 3 years!! So, you can imagine how I feel, right? 😀 Finally!! And oh, I dedicate this book to my Mom. On the first page of “Lembar-Lembar Pelangi”, I wrote a little note for her. You can read it, too, if you have the book :). We didn’t tell her that today is my book launch. I had to lie to her that I wanted her to come to Plaza Senayan at 5pm because I was going to receive an award (so she dressed nicely! Otherwise, if she thought it was only for having a cup of coffee, she would wear something really casual. But I wanted her to look nice :)). Then she started crying as she received the book from Zack. And she couldn’t stop crying all through the event. Oh Mom… how I love you so! So, on this note, I want to thank everyone who came to my book launch today. I can’t even tell you how happy I am to see your face and have you all there! I can feel the love. Thank you soooooo much!!! And last but not least, I thank Mbak Shahnaz Haque, who’s willing to be one of the speakers at the Press Conference; Windy Ariestanty, who has been a great help in this event – being the speaker at the Press Conference and also at the evening one plus introducing me to Adimas Immanuel! ; Riyanni Djangkaru, who is also willing to read a few paragraphs at the event; and Adimas Immanuel, who wrote three pieces of new beautiful poems and read them specially for this event! 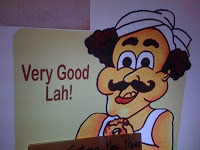 And also to Ruben Donny, my favorite MC, who has successfully bring laughters and joy to the audience! WOW! You guys rock! Thank you so much!! And also to Rachel Malik, the wife of the British Ambassador for Indonesia, who gave testimonials about her experiences inaugurating two of Taman Bacaan Pelangi’s libraries in Papua, and her daughter’s experiences – Maleeha — whose volunteered at one of Taman Bacaan Pelangi’s libraries in Flores, lived for several months at a local people’s house in Flores, and how the experienced has changed her mindset and her way of seeing life :). I can’t thank every single one of you, but again, thank you so much for all the love and support. Thank you for being there and celebrating this happy moment with me! 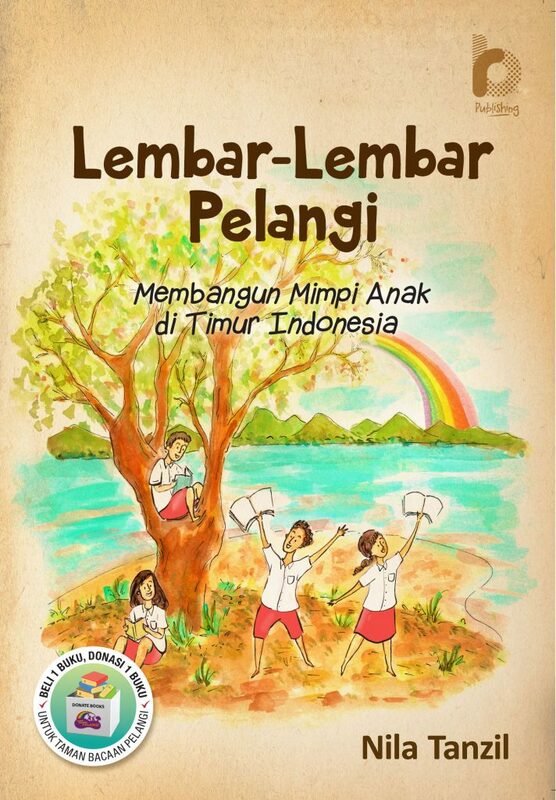 “Lembar-Lembar Pelangi” book can be purchased at any bookstore in Indonesia – Gramedia, Kinokuniya, Gunung Agung. For every purchase of this book, the publisher (Penerbit RakBuku) will donate 1 children book for the kids at Taman Bacaan Pelangi in Eastern Indonesia. You can also buy it online at www.pengenbuku.net ; www.bukabuku.com; www.bukukita.com. 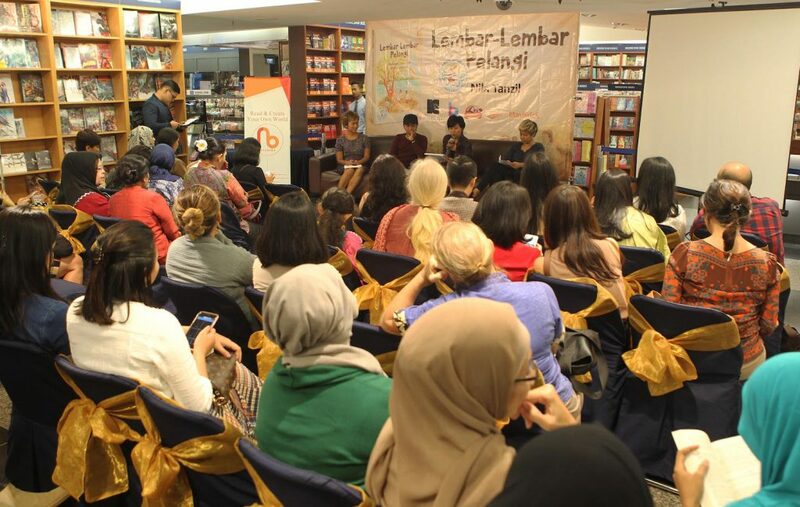 More than 100 people attended the book launch. Obviously, the stage wasn’t enough for all of us! Congrats Enu Nila Tanzil, we are proud of you. My Li’l Niece is a Magician!